Flickr user Joe D! 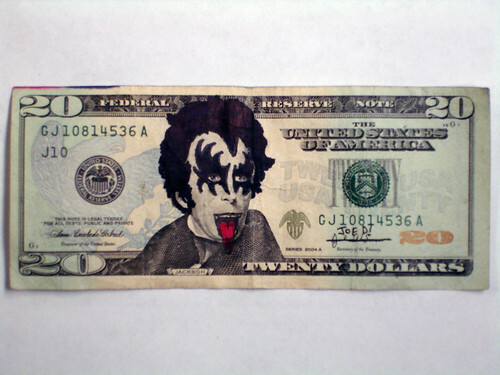 has posted a brilliant gallery of currency that he has refaced, a project where he enhances the portraits on paper money. 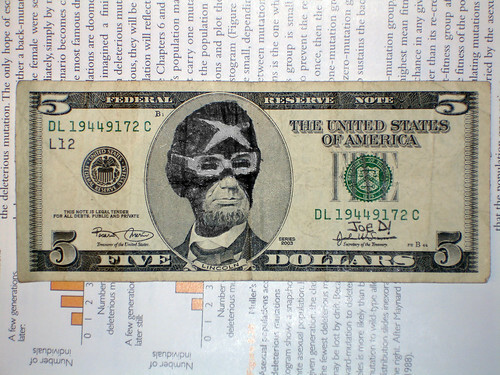 Inspired by Joe D!’s $5 Tron, Brent created a Tron version of the Canadian $5 bill. Want more? 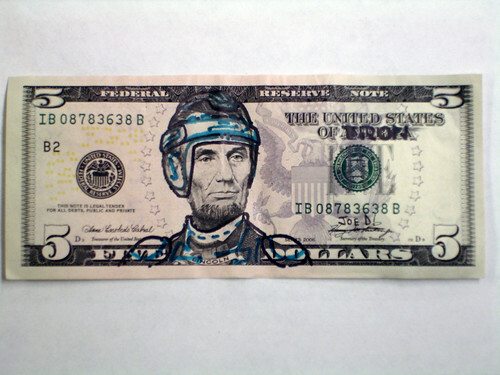 There’s a whole Flickr pool of defaced presidents.